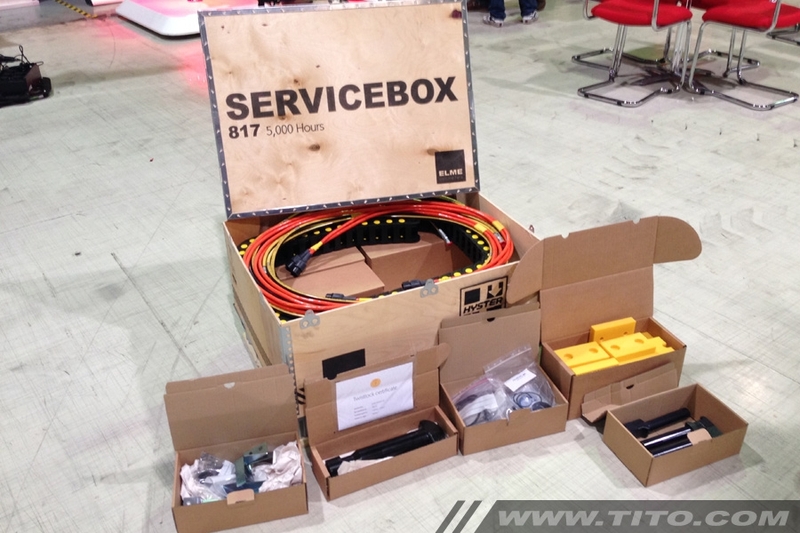 Additional info Servicebox for Elme 817 spreaders from year 2000 until now. 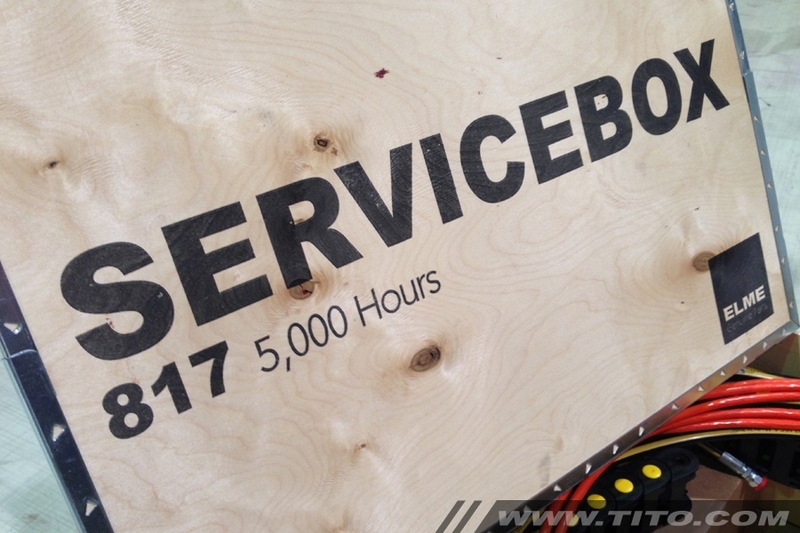 The Elme servicebox for spreader model 817 includes all spare parts that Elme recommends for a 5.000 hours service. Twistlock assy including certificate, wear pad, nylon pad, flex track chain, bracket, screw, seal ring, o-ring, ball-joint, seated pin, hydraulic hose assy, cable assy, proximity switch, seal kit, nut, indicator arm, compression spring, tie rod. 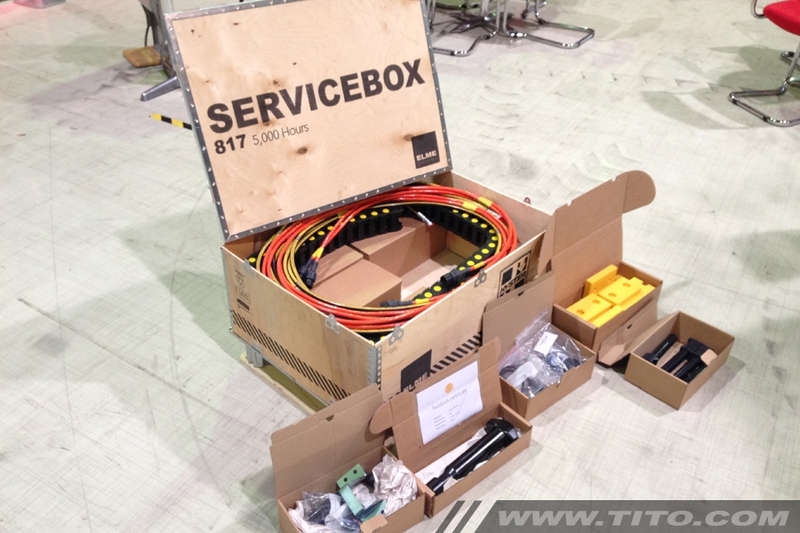 Key applications Service and repair of spreaders and container handling equipment (Elme spare parts).